First, I adore the name Adalee Cole, so sweet! Mom first came to be when big brother was born, Axton. I have since had Adalee’s family taking photos with me for over a year. Wow, how time has flown! 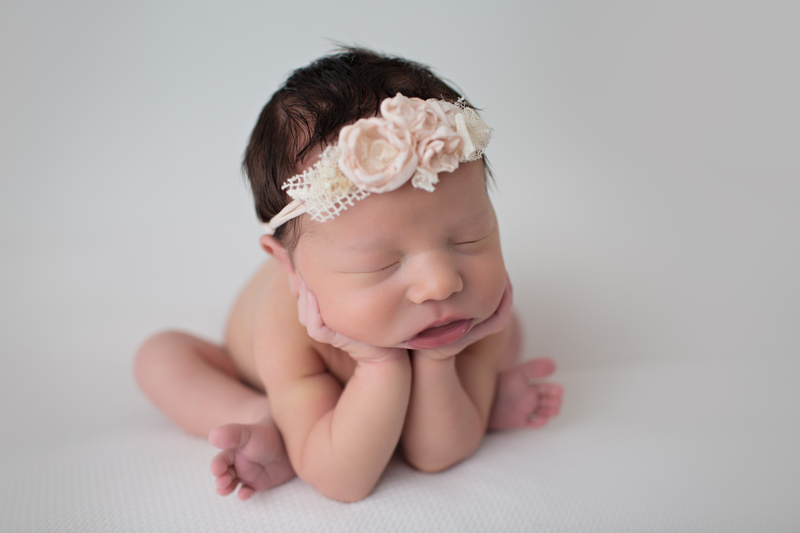 Already we have the cutest little sister ever here in our Tampa Bay photography studio. 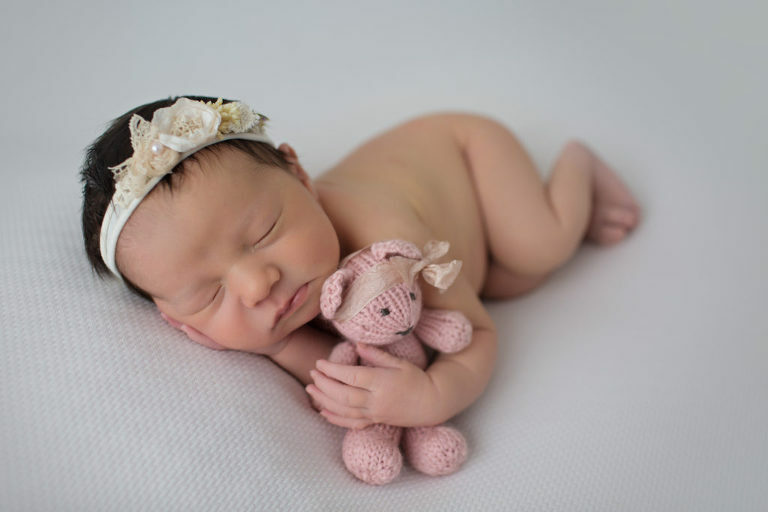 As a tampa newborn photographer, I always look forward to my newborn sessions but when we get to add a sibling, it adds in more fun! Adalee’s nursey is decorated to the nine’s. Seriously, mom is the best interior decorator. Even if her official title is not interior decorator, then it should be. 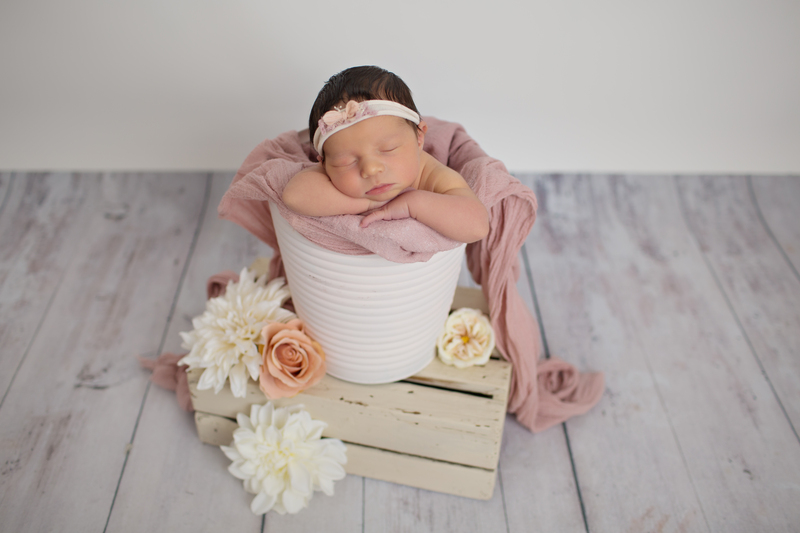 Her tampa newborn nursery is decorated in pinks, golds and cream’s. 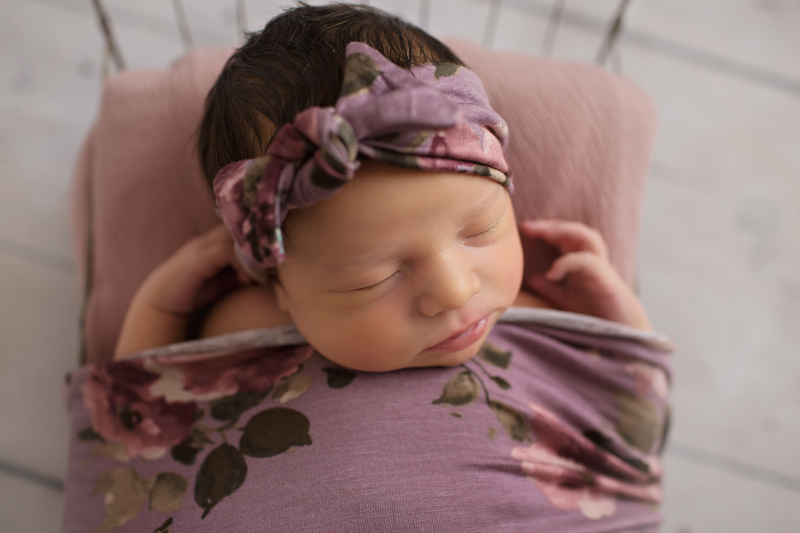 As you may or may not know, I coordinate colors in your newborn session to that of your nursery. Check out some of my favorites from Adalee’s session. 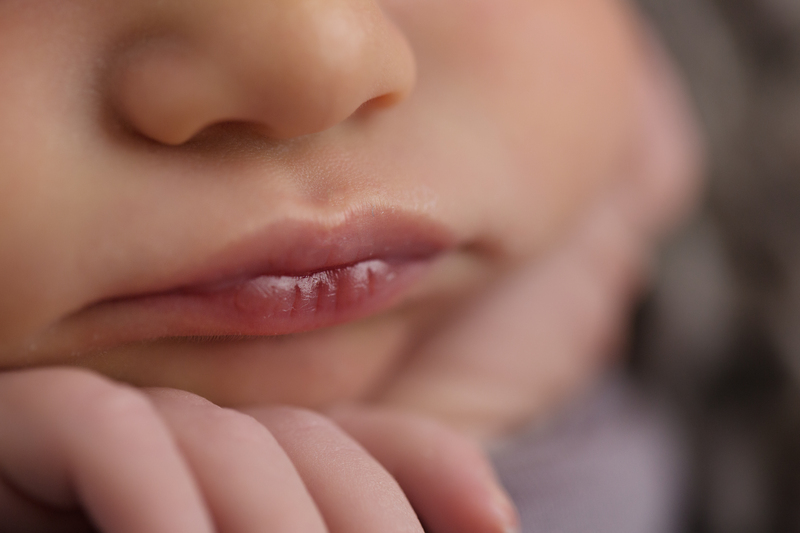 I adore close up images of newborn lips, feet, ears, eyes, etc. Don’t you?! 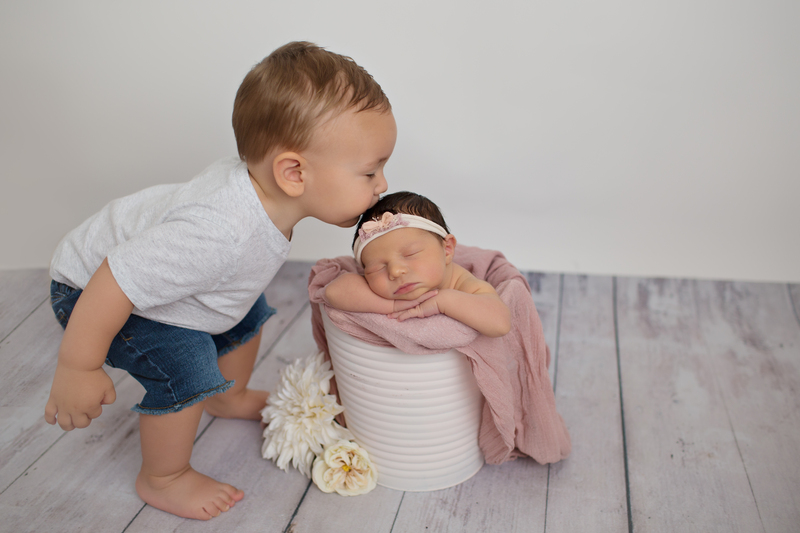 And of course a photo of big brother kissing on his little sis.